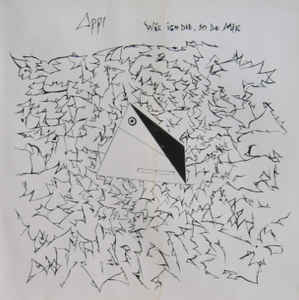 An obscure German LP of weird noise by an obscure, weird German named Andre Aspelmeier. He would go on to make friendlier electronic music as half of Incite/, but this recording shows his rough and feverish beginnings. Lots of short, noisy songs of homemade blurt recorded between 1986 and 1988, released on wax in 1988 on Music for Pressure, which I assume is his own label.